If one of Pillars of Eternity's eleven classes is the rock (we'll skip the obvious "pillar" joke), it's the fighter. All across Eora, fighters are known for their discipline, skill, and durability. In the Eastern Reach, they are often employed as caravan guards, soldiers, and personal bodyguards. 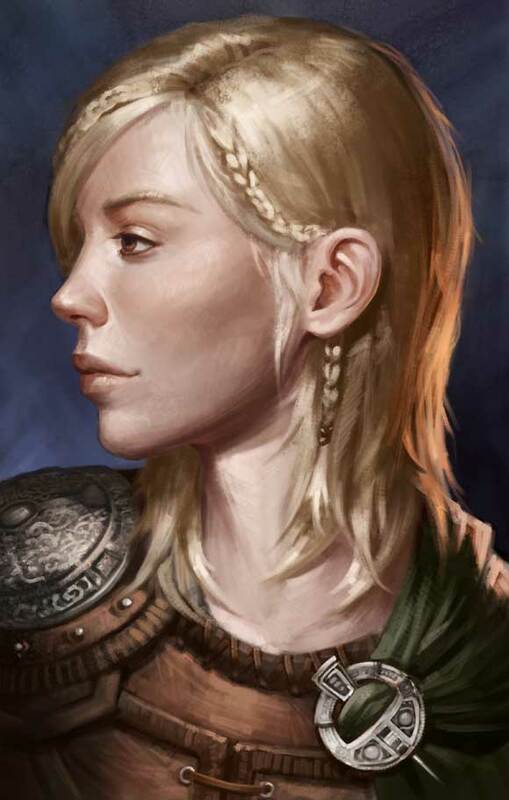 Accustomed as they are to long marches, strange places, and life on the road, all fighters gain a minor skill bonus to Athletics, Lore, and Survival. A QA (Quality Assurance) favorite at Obsidian, barbarians are the wild, unconventional counterparts to fighters. Barbarians need not be from the "hinterlands" of Eora, though the vast majority are. In the Eastern Reach, barbarians most often come from Eir Glanfath, though some can be found in rural Dyrwoodan communities or drifting in from abroad through port cities like Defiance Bay and New Heomar. Barbarians are often used as shock troops for dealing with mobs or simply to intimidate the easily-cowed with their ferocity. As the Dyrwood has settled down over time, the regular employment of foreign barbarians has slowed significantly, but they still make up the majority of Glanfathan front-line forces. Barbarians all have a strong skill focus in Athletics and lesser focus in Survival. Hey, everyone. This is Brandon Adler. I just wanted to give you a quick update about our E3 presentation. Everything went really well and the game was well received by the gaming press. We gave short ten to fifteen minute demos in which we showed off the first few areas and explained the basic concepts of the game. After the demo we had a quick question and answer session and gave any interviews that we could fit in before the next batch of journalists. All in all, it was a grueling, yet rewarding, experience. Good to hear. I wonder if it will be a video from the beta, which will probably be released not long after.